Here is Mary in her new Boxy by Joji Locatelli. 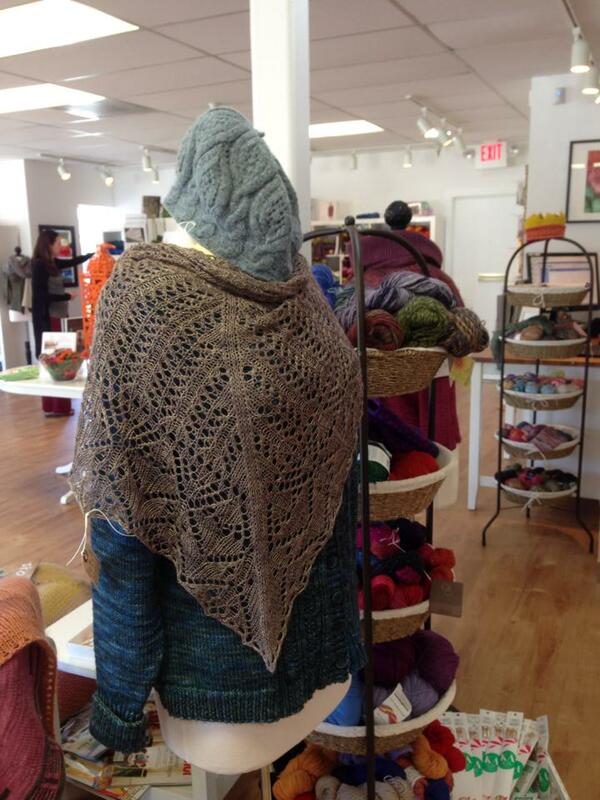 Mary used the ever yummi Malabrigo Sock for her yarn choice. It starts out as this little pile of spun gold. 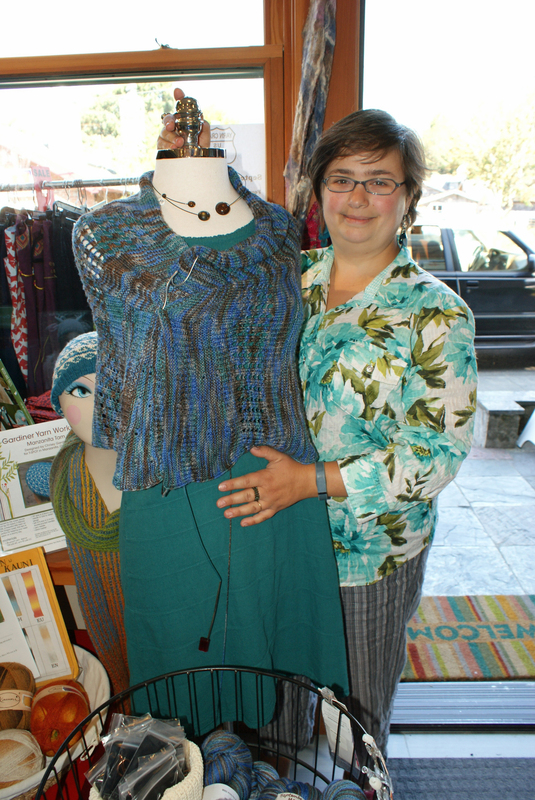 Then Mary knits it up into this fabulous piece for her wardrobe! So, my husband Wes had a birthday! 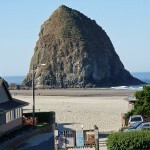 I had made plans and reservations for us to spend a few days in Cannon Beach Oregon. 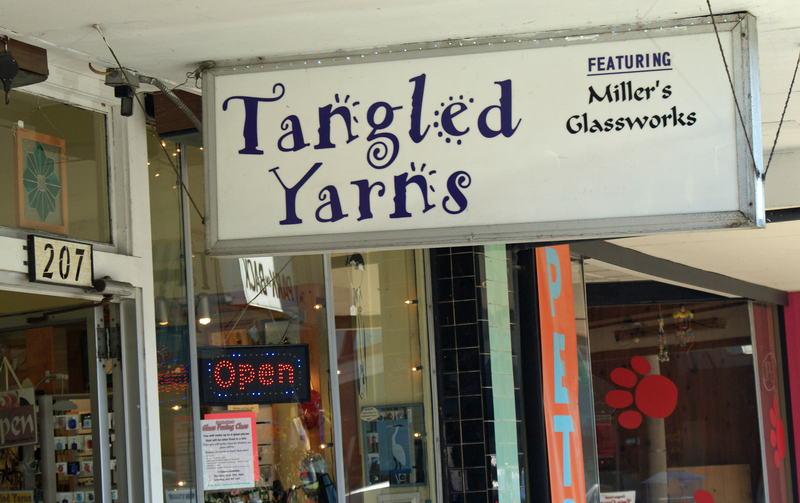 I was really looking forward to our trip and, as you know, I had been into Amanda’s Art Yarn & Fiber some weeks back, and she had informed me that there was going to be a 101 yarn crawl happening at the same time — how convenient. Well, that’s not really fair….it is his birthday after all, not mine. I didn’t even know about the crawl, but that is not surprising, it was the first year for it. I went ahead and added the event to our event calendar here on the site and I did print off a copy of the passport, that had a list of all the shops and their addresses. So, on Friday, off we set for our vacation on the ocean! The first stop on the crawl was Tapestry Rose in Ocean Park, Washington. Now, I will admit…I mentioned the crawl to Wes and he was indifferent towards it. 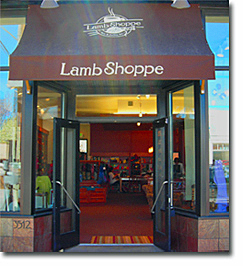 I had been to Tapestry Rose some years ago and we really weren’t headed exactly that way, so I skipped that shop. 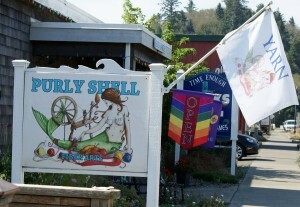 The second shop on the list was in Ilwaco, Washington, Purly Shell. 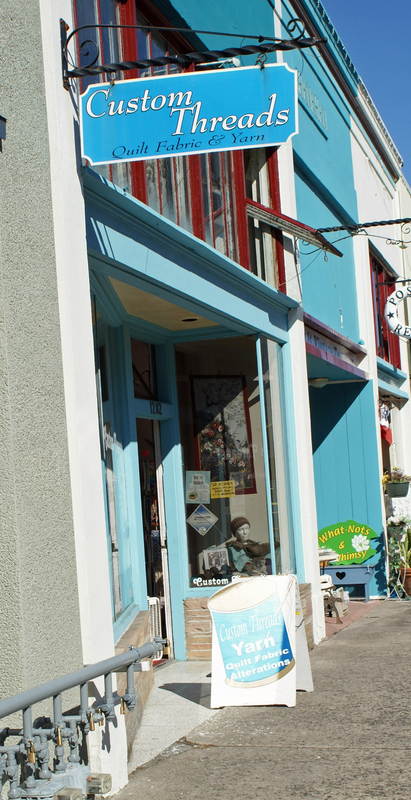 I had never been to Ilwaco, so I was interested in this store, but we wanted to get on down to Oregon. So, we drove and found a lovely park along the way that was on the Columbia River for a picnic lunch. You probably are thinking, oh, she packed a lunch….no, Wes packed a lunch, complete with salmon salad that we put atop of crackers along with lots of other things. We had perfect weather. Did I mention that we brought our dog Mae? 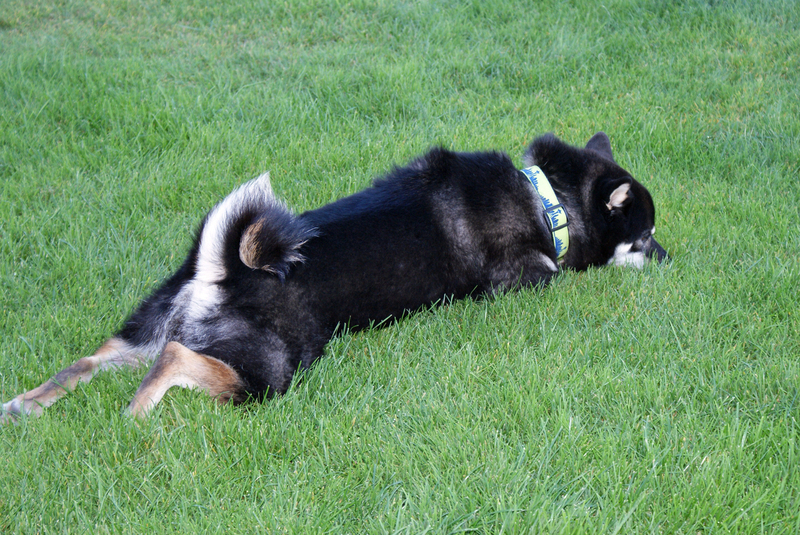 Well, we did, in fact the resort that we stayed at, allows dogs…perfect! Well, come Astoria, Oregon, we needed some gas and a beer, so we pulled off to take care of business. 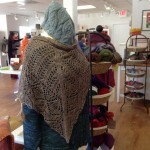 There were two shops…Custom Threads and Arachne’s Astoria Rendevous. Wes didn’t mind, so I went and got my passport stamped, introduced myself, took a look around and also snapped a few pics. 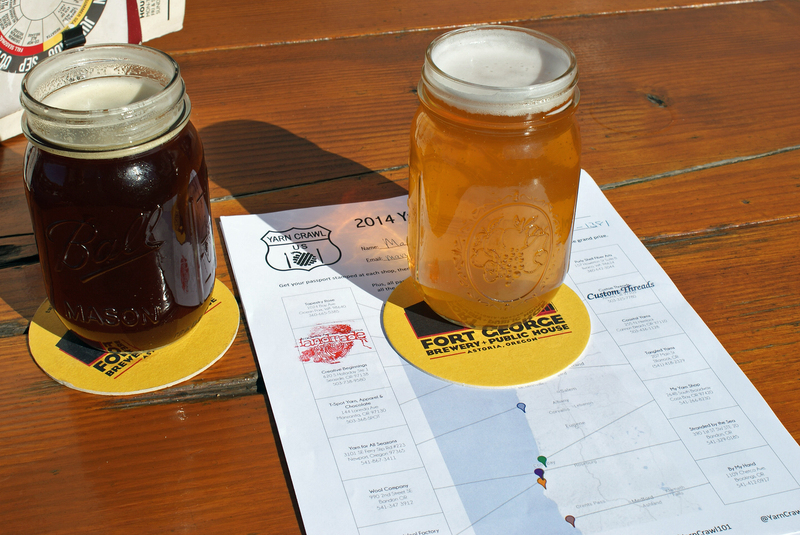 Now, I was having fun…..then we went to Fort George’s…..then Wes was having fun. 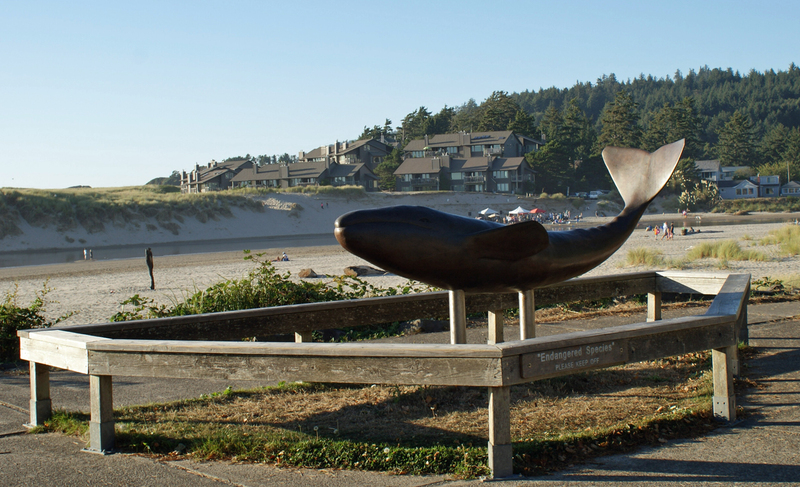 Then, we tooled down the road to Cannon Beach to check into the resort and check out the beach. FABULOUS!! 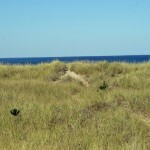 Saturday, we headed on into Seaside to visit that town, just 7 miles up the road north. We had taken the kids there a few times and wanted to see what had changed. 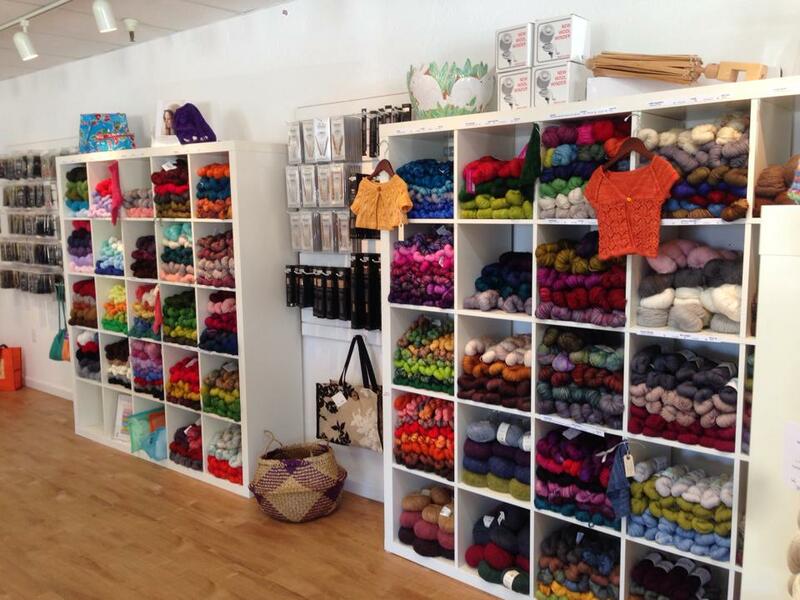 We visited the beach, had some ice cream and then hit the yarn shop YAY. 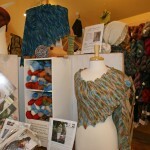 Creative Beginnings had the funnest shoulder cozy that could also be worn as a longer ish cowl/infinity. It resonated with me because HELLO mink and sparkles YEAH!! 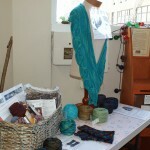 I jumped head first into that project and they were kind enough to wind my yarn. I just have to mention that they have a coffee/latte bar inside the store complete with a very nice bathroom, and a shop kitty! 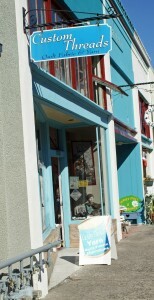 After getting back to Cannon Beach, we decided to visit town. Maesy was tuckered out with all the beach play, so we decided to dial it back and take it easy. 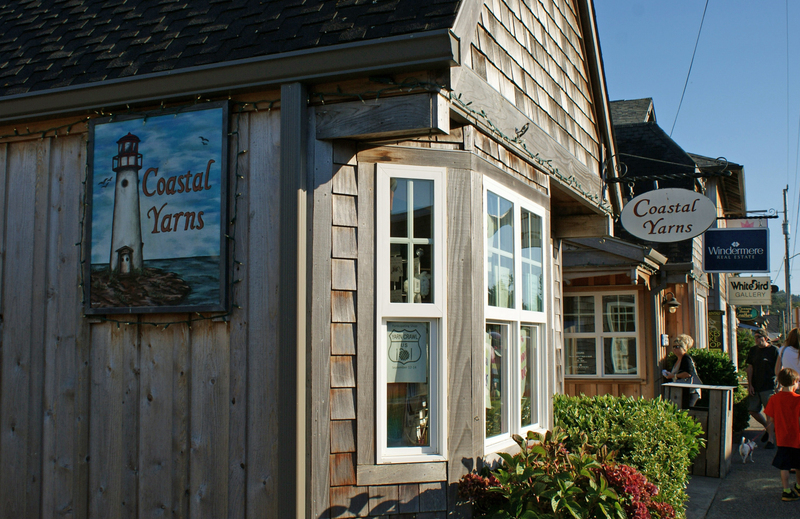 Of course it was the perfect time to go into Coastal Yarns right there in town. I have to say, it was really calling my name. 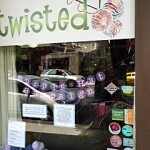 I’ll admit, right here, that all of my friends had already been to this store and now it was my turn. 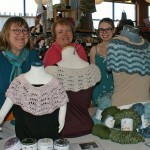 They had a fun shawl pattern as their give away and yarn dyed especially for them by Tina over at Blue Moon Fiber Arts. Actually they had two colorways that were unique to the store Haystack (named for the rock) and Coastal Yarns (named for the store). Now this was their Twisted yarn. 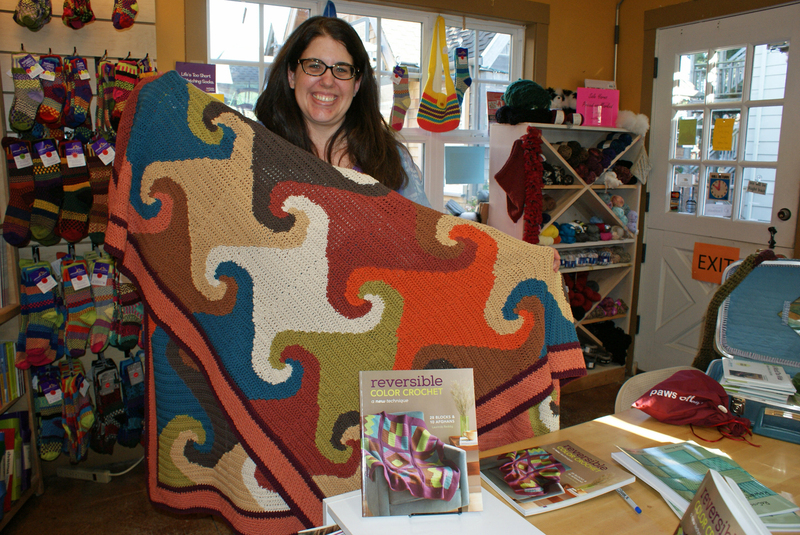 I was sort of excited for this because Carmel had purchased some of this from Debbie Macomber’s A Good Yarn Shop when we had gone to Stitch N Pitch in Seattle in late July. Now I had some to try as well (happy face). 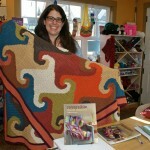 While I was there I met Laurinda Reddig, a crochet mavin, that has authored two books. We were talking about crochet and I told her that I’ve taken countless classes and it hasn’t taken yet. She gave me her Learn to Crochet book…which I totally appreciate because it is still my dream to crochet a baby blanket and there are 4 blanket patterns in the book plus a hat how to. Thank you so much to Laurinda for that! 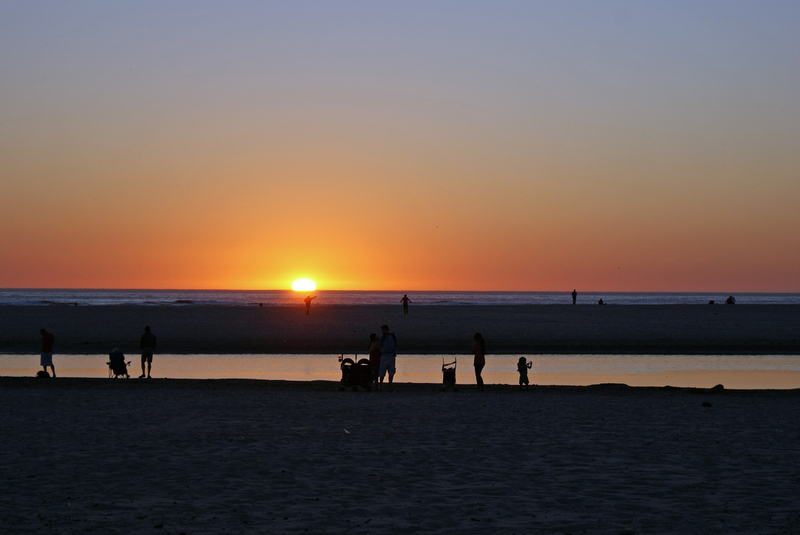 So, off to dinner, only to come out to find our jeep and the most amazing sunset on the beach PHOTO OP! Sunday was tomorrow…what to do. Beach time first thing, then breakfast! Now what? I know, let’s head south to Manzanita and see what is there….more beach AND another yarn shop T-Spot Yarn. 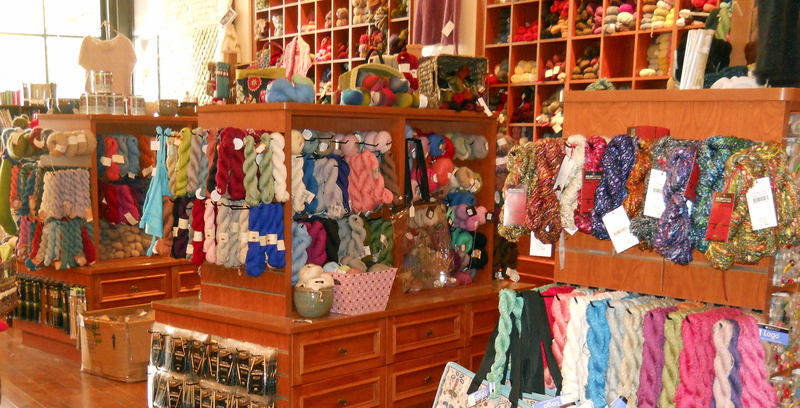 I loved this shop, a total girl heaven sort of place. 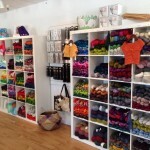 Aina, the owner has everything a girl could want, clothing, jewelry, chocolate and yes YARN! 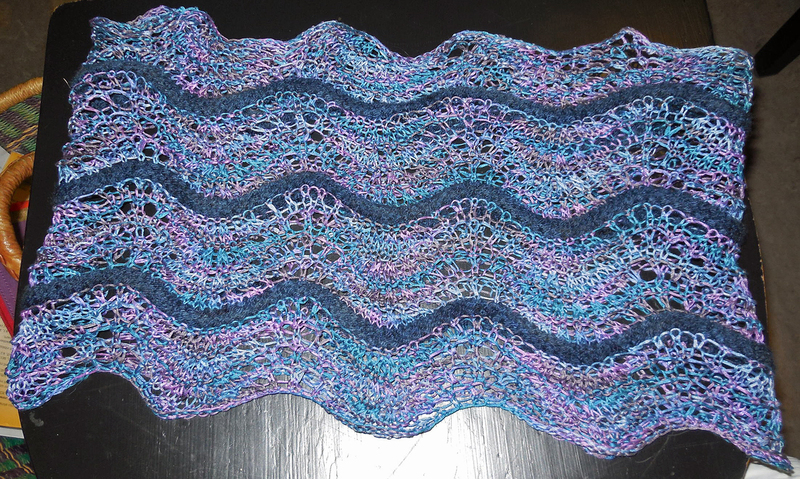 I got the free pattern, which was another shawl, and I picked up a shawl pin of artistic flare….I love it and it will remind me of my visit to Manzanita. It was Sunday, so of course we have to find a place to watch the Seahawks game DONT ASK — they didn’t win and it wasn’t pretty! But, back to my story, we drove further south to Tillamook, Oregon – you know, where they make cheese and ice cream? Yep, we found some lunch, a beer and the game. 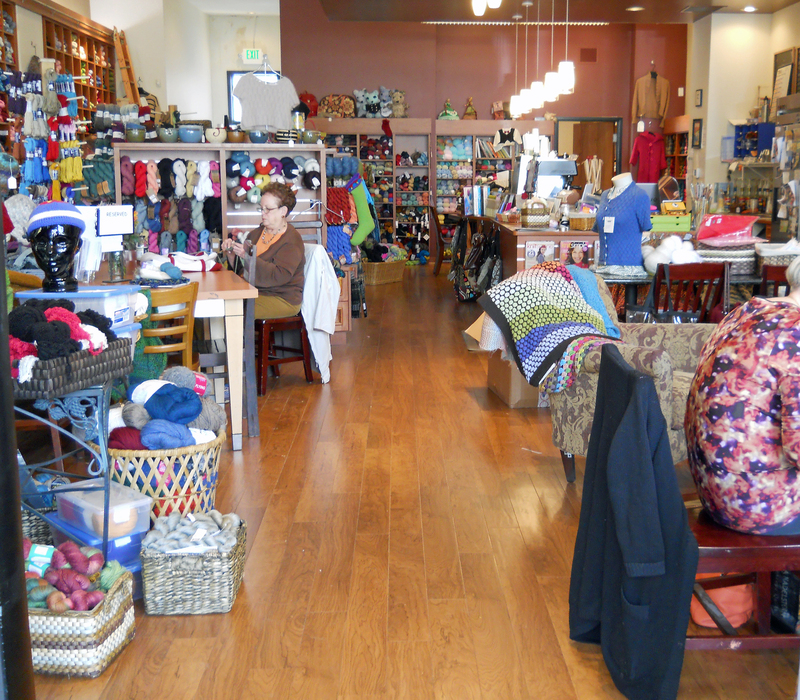 Heck, we left half way through the third quarter and went to the yarn shop. 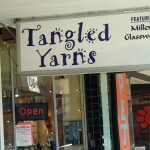 Tangled yarns and more pictures. 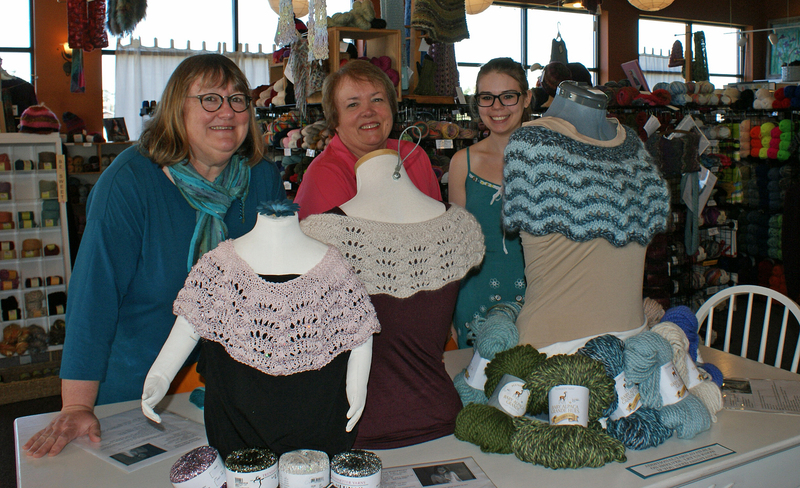 The gals from Alexandra’s Crafts were there with all their yarn. There was almost too much to see, who could decide. 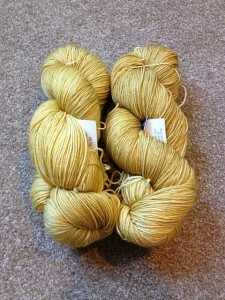 I sort of had to buy a skein. I don’t usually see it up in Washington and they had a colorway they call Lavender Garden, I call it HAWKYEAH! 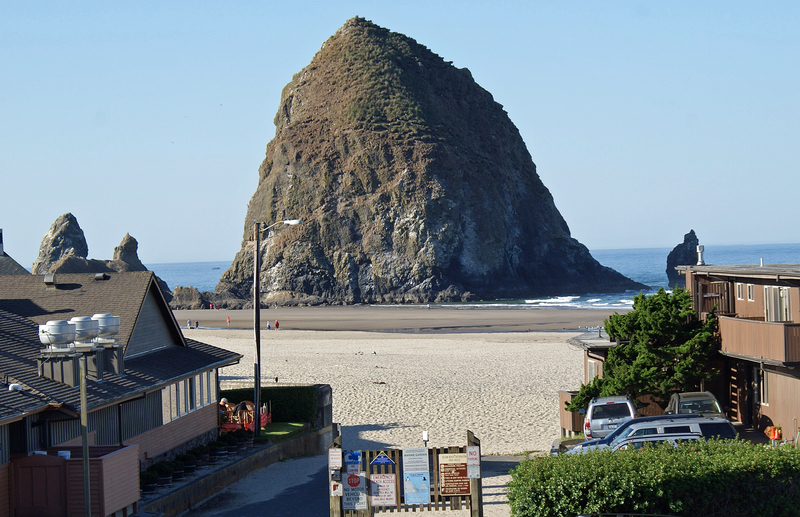 So back we go to Cannon Beach and the sun was still shining and we hit the beach again. 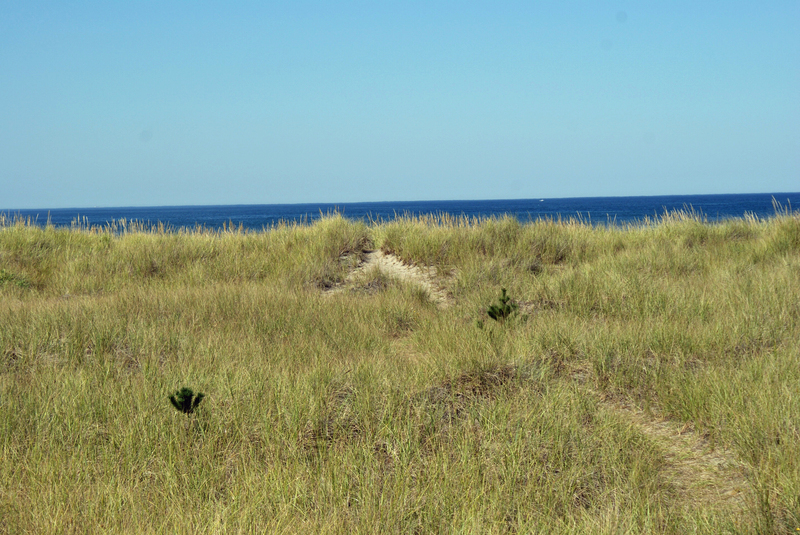 One can never have too much sand and surf. The next day, it’s time to check out and head for home. We were ready and looking forward to a lovely drive north. We decided or I should say Wes decided to take a different route home. He’s like that, sort of a wonderer. It worked in my favor because it brought me to Ilwaco and I was able to meet Heather at Purly Shell. 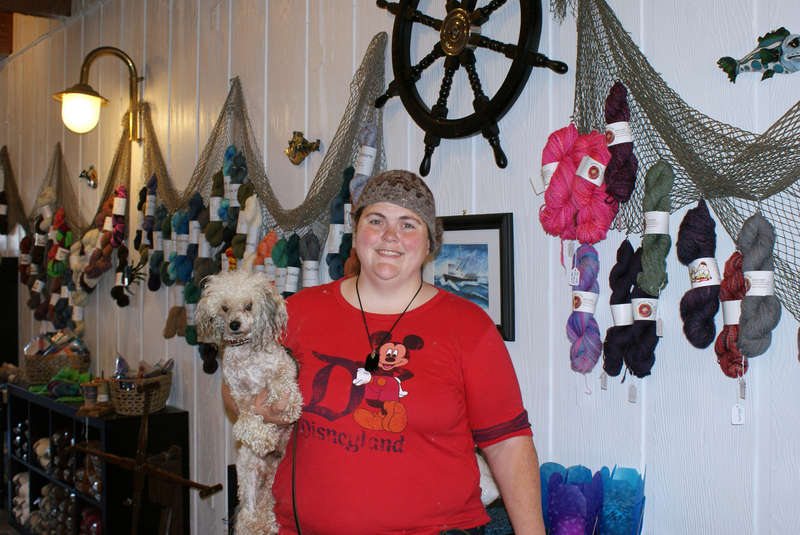 Ilwaco is a fishing community, and her shop is so cute and full of locally dyed and spun yarn that a knitter could only dream about. 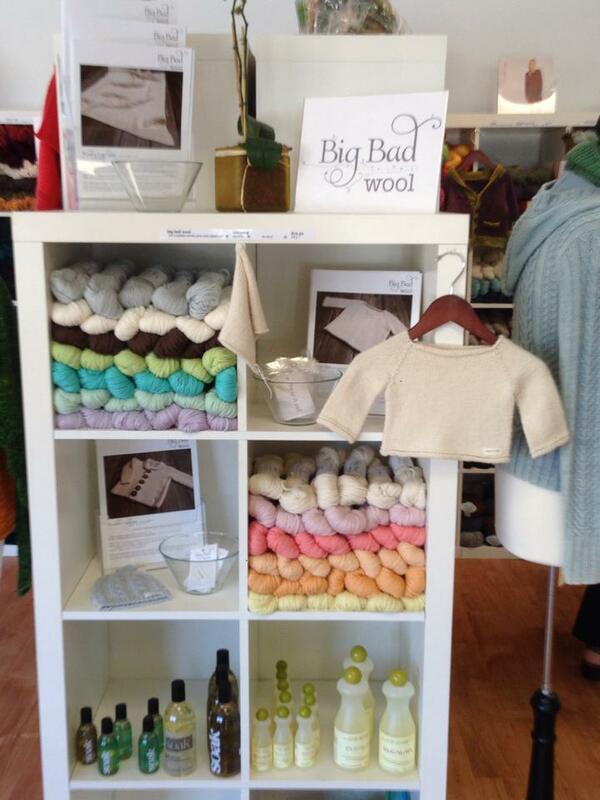 She had all the staples of wool as well, but a great way to end “my” crawl. Technically the crawl was over, but she gifted me with one of her Purly Shell mugs with Bubbles the mermaid on it. I’m so excited to drink my coffee out of it in the morning, thank you!! 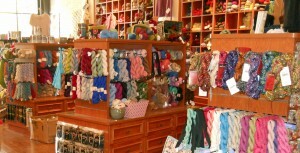 I could have spent all day at Monarch Knitting. I remember when I first came to Pacific Grove five years ago, they were in the same building but in a much smaller space. 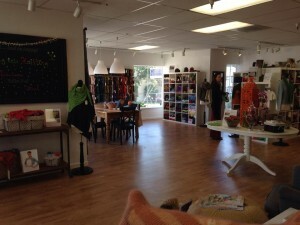 This past spring they moved into a bigger space in the same beautiful building and they have done an amazing job. Yarn is organized by weight. 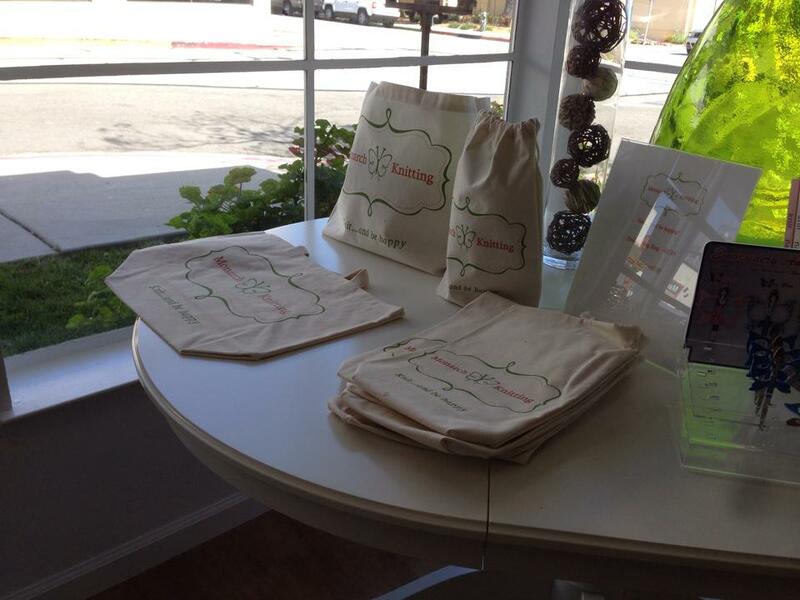 They have beautiful samples and beautiful displays. It’s full of light, laughter, and people who clearly love where they work. 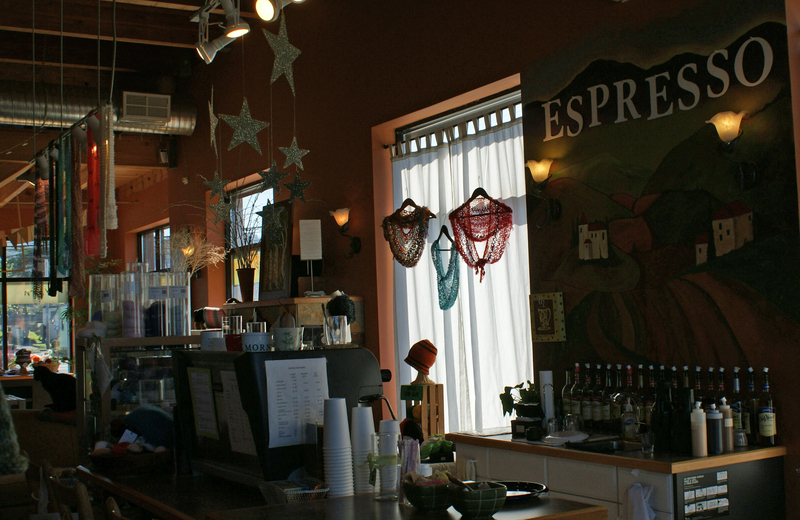 There is plenty of room to wander about without rubbing elbows with displays or other patrons. 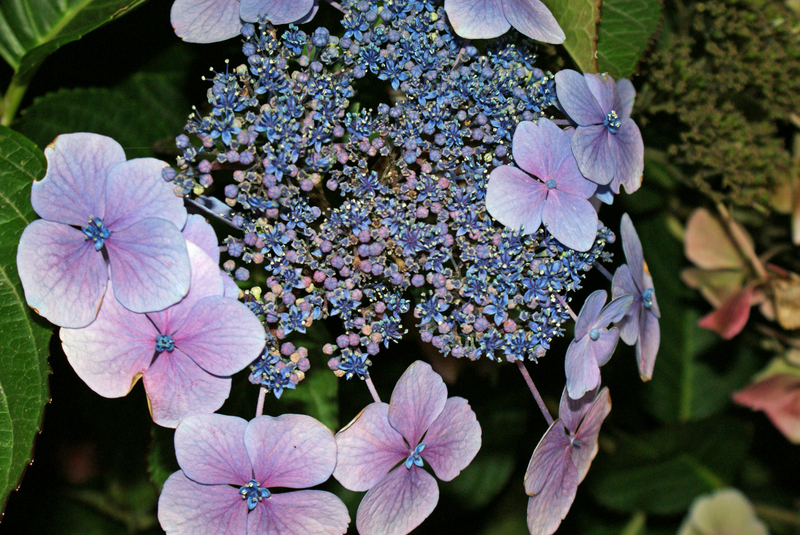 There is so much natural light you have no trouble imaging the real hues of the color you are holding in your hand. 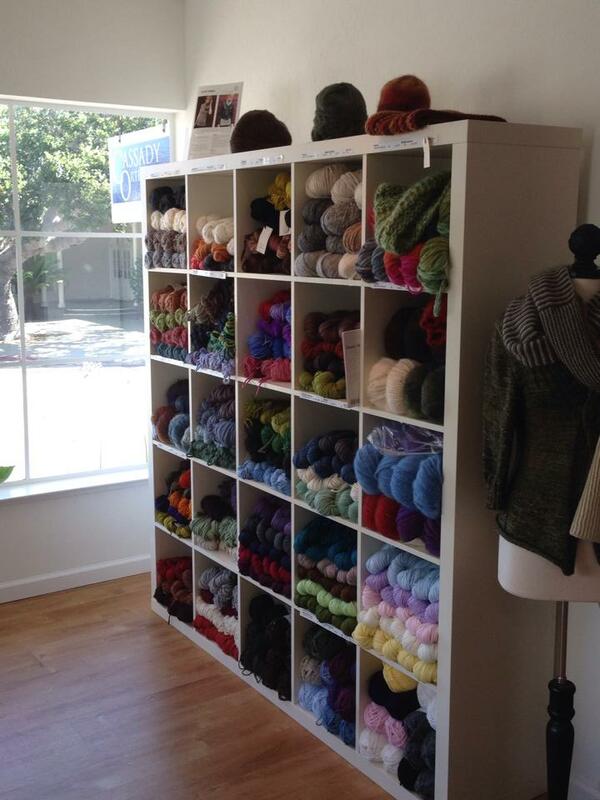 It’s one of those stores where you walk in and immediately wish it was your LYS. I may or may not have priced houses in the area. It’s welcoming and invites you to explore and to touch the beautiful yarn. It makes you feel good about blowing your vacation budget. 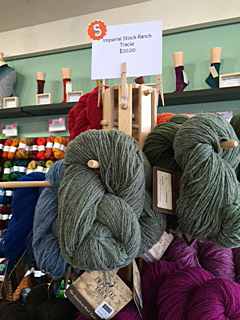 Monarch Knitting has an amazing selection of yarns in all ranges of price. 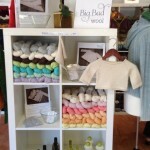 Everything from Berroco to Quince and Co. 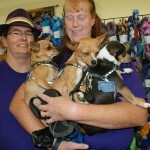 They are incredibly helpful with any questions you may have. 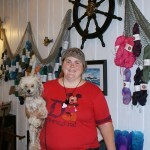 I purchased a skein of Big Bad Wool that they had on display and a hat pattern to knit it in. 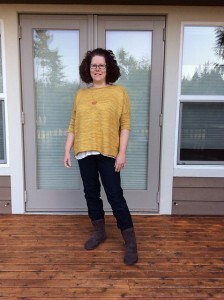 I also bought a pullover pattern and will call them to buy more of the same yarn because it’s a wonderful blend of Alpaca and wool and best part, it’s superwash! 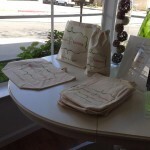 They had on display the pullover as the sample and it had been washed and dried in the dryer. It looked just like it just came off the needles. 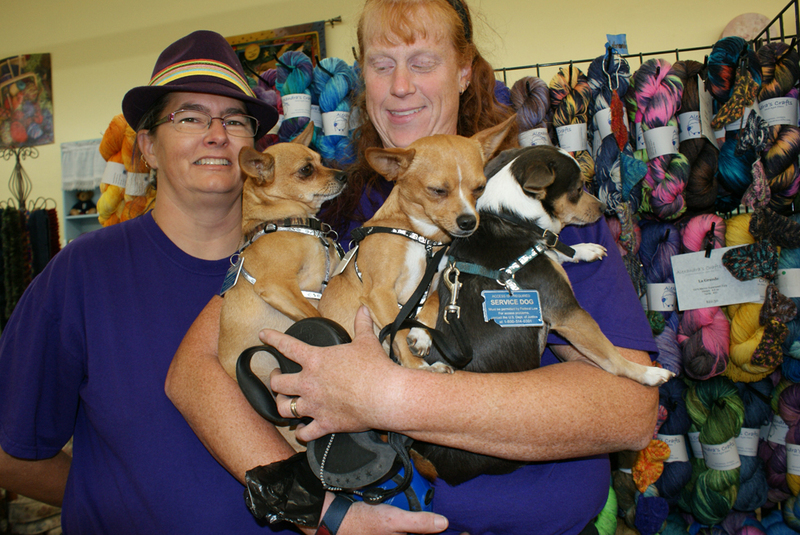 I also purchased two skeins of Malabrigo in the color Fuchsia. I’ll probably make a cowl for myself with it. 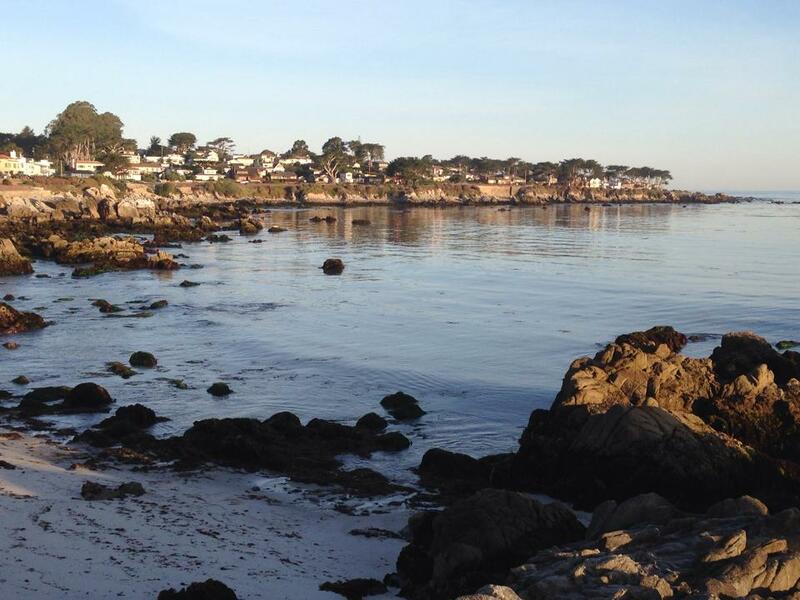 If you are visiting the San Francisco area then you must make the two hour drive to the Monterey Peninsula. 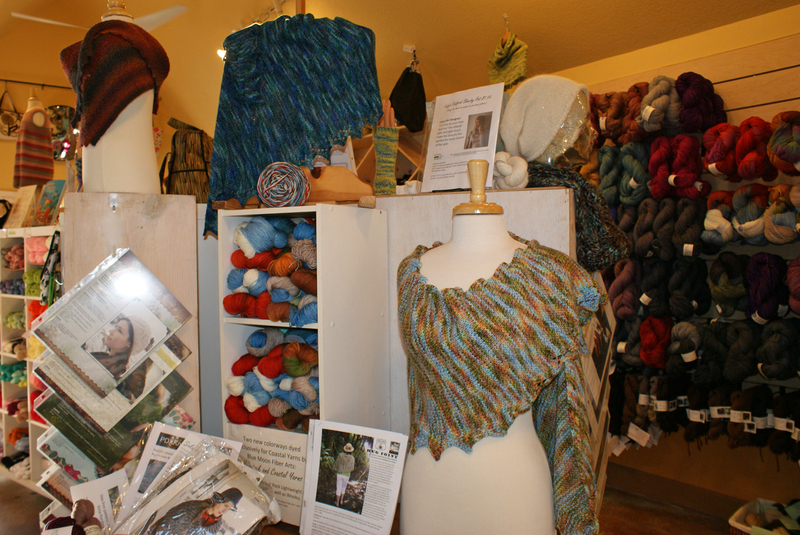 Visit Monarch Knitting in Pacific Grove, wander along the Warf in Monterey, and stroll through Carmel-by-the-Sea. It’ll be worth every minute. 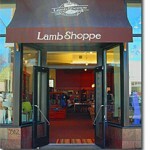 Mary Carol is the owner/proprietor of Lamb Shoppe, just one of the yarn shops in Denver, Colorado! 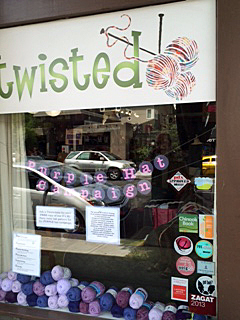 The store is busy gearing up for a 24 shops in 10 days yarn crawl set to begin Saturday, September 13th. 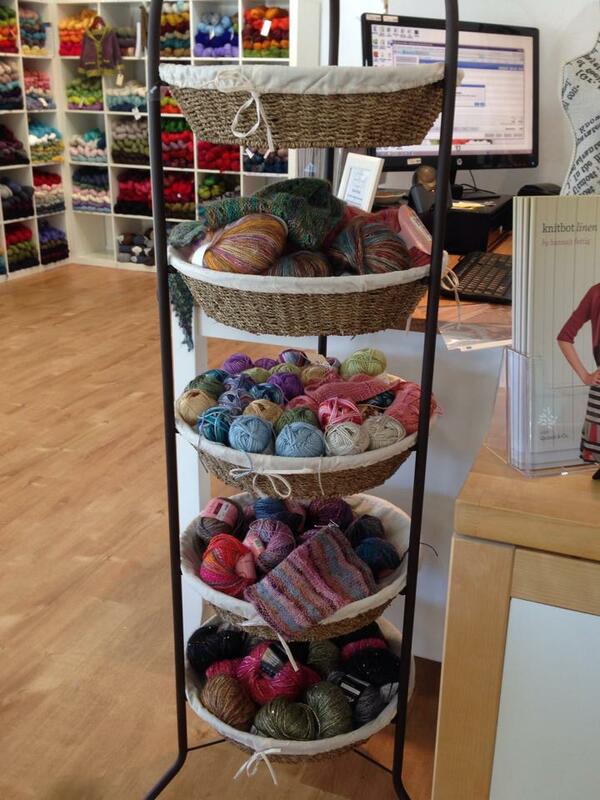 New yarns have arrived and are being put on the shelves for fall. Next Start Date: September 28, 2014. It’s back! Their Twelve Step program that encourages your knitting and crocheting addiction. Sorry AA. Twelve Projects for the new year, one a month. Embellishments like the flowers on the felted bag is step #8. 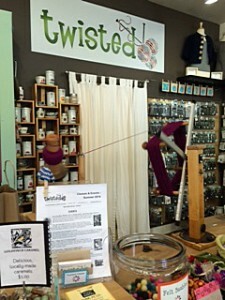 This is such a fun and creative idea that is sure to bring folks into the store to get the help they need! They also have whats called a Kamikaze Christmas where they crack out projects one after the next for gift giving. FUN!! 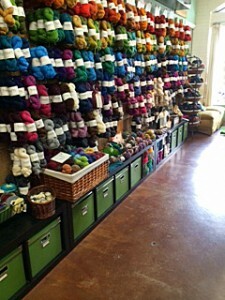 Yvonne from California visited a yarn shop on her travels and email this in. 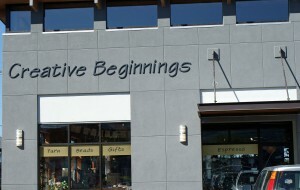 Great shop! First of three I visited. 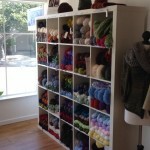 Lots of PNW yarns as well as Madelinetosh, Quince (that I can’t get at home), Hazelknits and Brown Sheep. 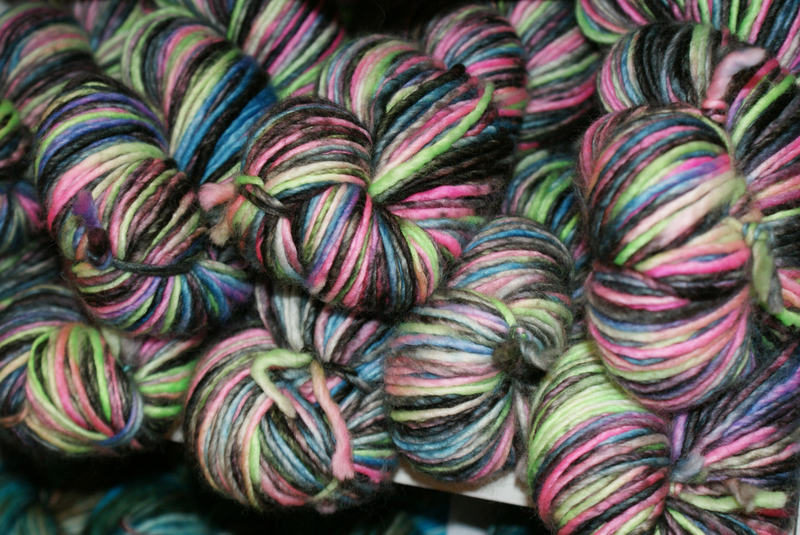 I purchased a skein of Imperial yarn, the yarn used to make the US team outfits for Sochi. 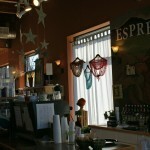 The staff is friendly and knowledge. 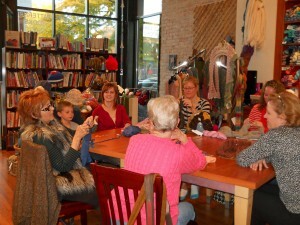 While I was there I visited with some ladies that attend Fridays knitting in the shop. They directed us to an Italian sandwich shop a couple of doors down for lunch. It always pays to talk with the locals! That Lady With The Camera….AGAIN? 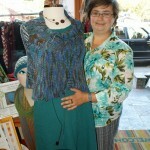 Carol Sorsdahl is a regular contributor and constant knitter that gets it done! 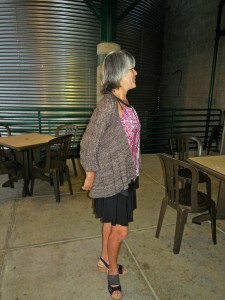 Here is her Wild Vanilla, a paid Ravelry pattern by Elena Nodel. I love the little Celtic touches! 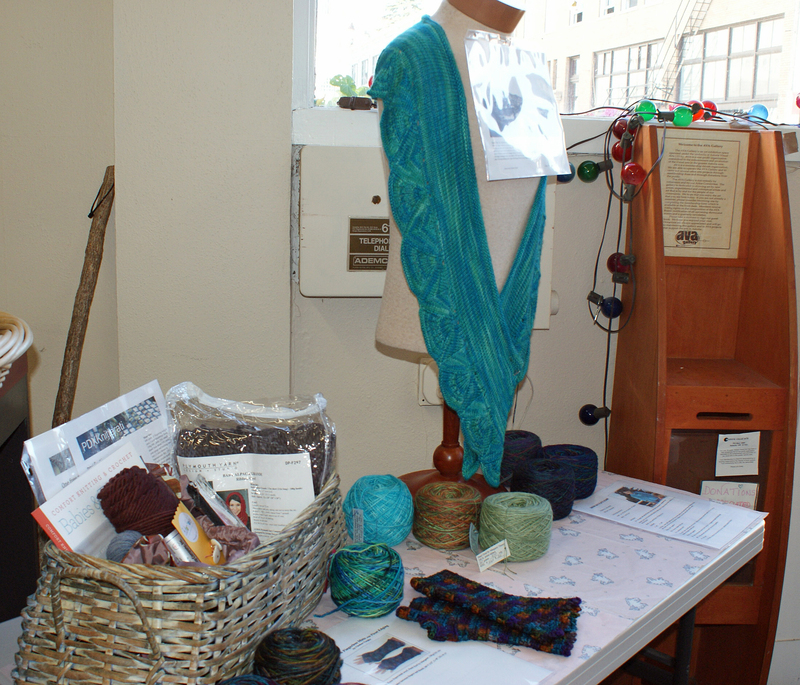 The yarn that Carol chose for this project is called Anne Geddes Baby Yarn, a Red Heart product – first I’ve heard of it. Little Naomi is precious, thanks Carol!